MOSCOW, May 10, 2010 (AFP) - Rescuers made a desperate push Monday to find 59 miners and rescuers trapped inside a Russian mine amid fading hopes they were still alive more than a day after methane gas blasts killed 31 people. Salvage workers overnight through Monday recovered the bodies of 18 fellow rescuers who had gone in to save miners after a first explosion late Saturday but were caught themselves by a second blast hours later. But conditions remained treacherous for rescuers at the Raspadskaya mine, Russia's largest underground coal mine in the Kemerovo region of southwestern Siberia, with high gas concentrations and a risk of further blasts. Rescue officials said 31 people had died in the blast and 59 others were still missing, Russian news agencies reported. But hopes of finding people alive dimmed. A miner who survived the blast told Russian radio: "They were late in pumping air into the shafts. They will only carry out corpses now." "We got out but still had time to breath a lot of gas," he said, adding it took him almost two hours to climb out from blocked and coal dust-filled shafts after the explosion. The missing men were trapped about 490 metres (1,600 feet) deep in the shafts, an official at the Raspadskaya mine was quoted as saying. A dozen miners were confirmed dead in the initial blast. Rescue work then had to be halted throughout Sunday with officials saying the mine was so dangerous that sending people in would be a virtual death sentence. The first blast went off late Saturday while 370 people were working underground and the second around two hours later -- after rescuers had entered the mine to bring survivors to the surface. 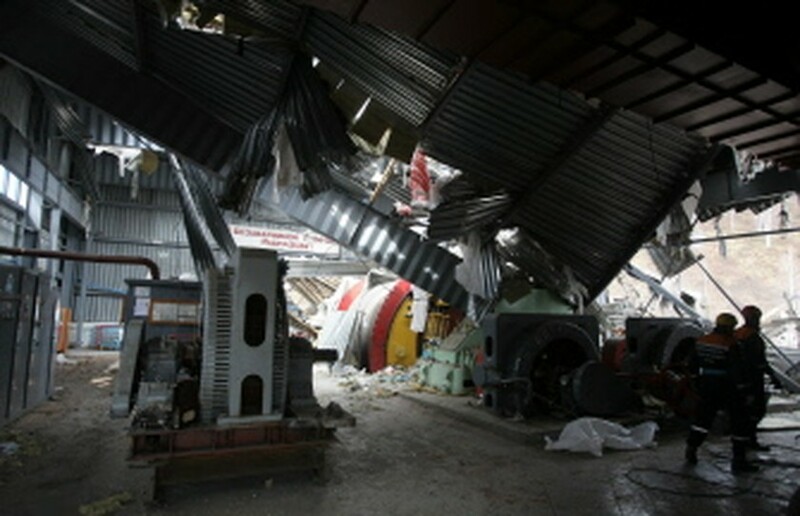 Emergencies Minister Sergei Shoigu said salvage work continued but admitted it was hampered by poor air in the shaft. Rescuers had to limit oxygen flows to the mine against the risk of further explosions, he said. "We are continuing searches and still hope to save people," Shoigu said. "Unfortunately we have very many restrictions about where (in the mine) we can work and where we cannot," he said, adding that electricity and ventilation had been restored allowing the salvage effort to resume. Despite there being no contact with those trapped, officials insisted there was still hope of finding people alive. Images on state television showed the explosions had been so powerful that even surface infrastructure was reduced to a smoking wreck. Loved ones of the miners waited in tears and agony outside the mine's management offices in the town of Mezhdurechensk where a list of the missing had been pinned up. Prime Minister Vladimir Putin on Monday ordered compensation of 32,900 dollars (25,600 euros) to the families of victims killed in the blast and smaller payments to those injured in the tragedy, the government said. A criminal investigation has been launched for negligence of security rules. But mine officials on Monday insisted readings showed accepted methane concentration levels in the shafts at the time of the blast. "All instruments show methane levels were within the norm at the time of the explosion. At present, there could be many different versions of the cause," said Vladimir Goryachkin, the mine deputy general director, quoted by Russian agencies. Raspadskaya is part-owned by steelmaker Evraz, a company 36 percent-owned by Chelsea Football Club's billionaire chief Roman Abramovich. A company source had earlier said there had been a sudden build-up of methane gas in the shafts and miners had no time to escape before the explosion.